When it rains in Paris it reminds me a lot of Seattle, it will come in quickly, lightly rain for a bit, then stop. 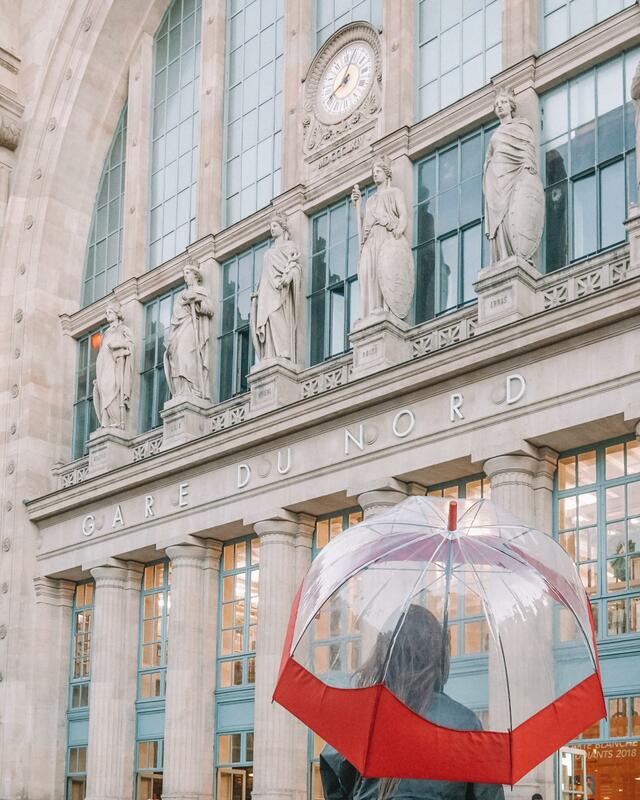 During the fall and the spring, you will experience the most rain in Paris. It seems never ending at times. With that in mind, recently, I ordered new rain gear to wear for this fall season. 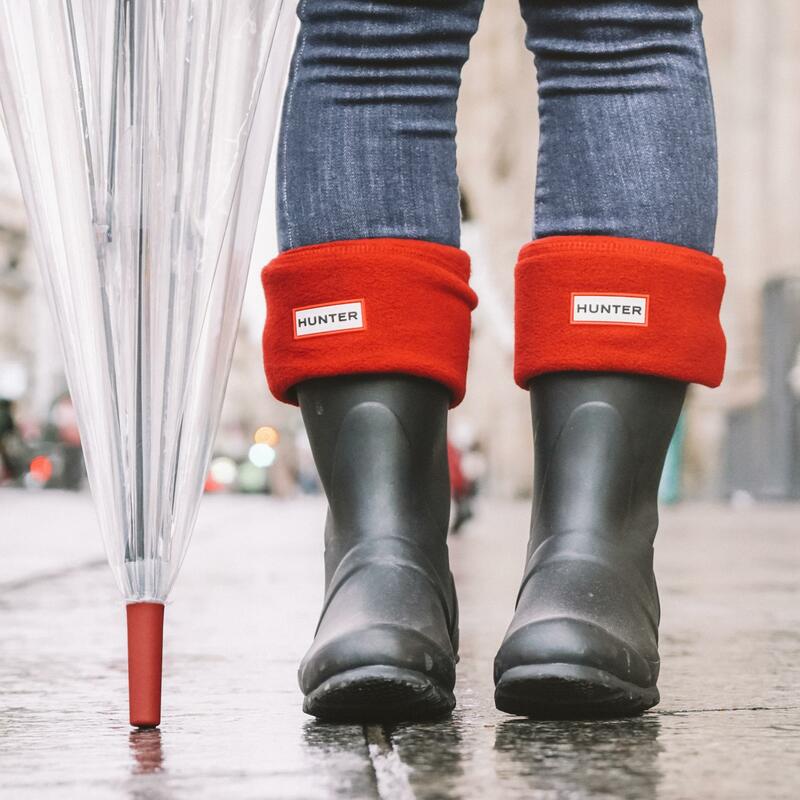 After doing some research, I determined that Hunter products were perfect for the rain. Hunter products use high quality materials, that are sourced responsibly. Hunter’s famous boots are crafted from latex rubber ensuring they are long lasting. The first thing I ordered was a pair of Hunter’s famous rubber boots. Due to my petite size, I ordered the short classic boots in a size 35-36. I liked the fact that they only came up to my mid shin. This makes them easier to walk and move around in. You do a lot of walking in Paris, so this is something to take into consideration. Also, I wanted to get a pair of the socks to go inside the boot, so I ordered red in a size 36-38. This is the smallest size socks they carry. However, you want your hunter socks a size bigger than your boots for a perfect fit. The next thing I ordered was a black Hunter raincoat. The coat is made of rubber smock. This waterproof Hunter raincoat is very nice and practical with an adjustable hem and hood. Personally, I love when designers add details to make their products more adaptable to various situations. The last thing I ordered was a red umbrella. During the rainy months in Paris, the sky is often grey with very little sunshine. In addition to the red socks, I wanted to add even more color with my umbrella. Due to all the rain in Paris, I’ve gone through multiple umbrellas. I’ve been using my Hunter umbrella for a few months and it has worked out great. You can tell it’s a high-quality piece. 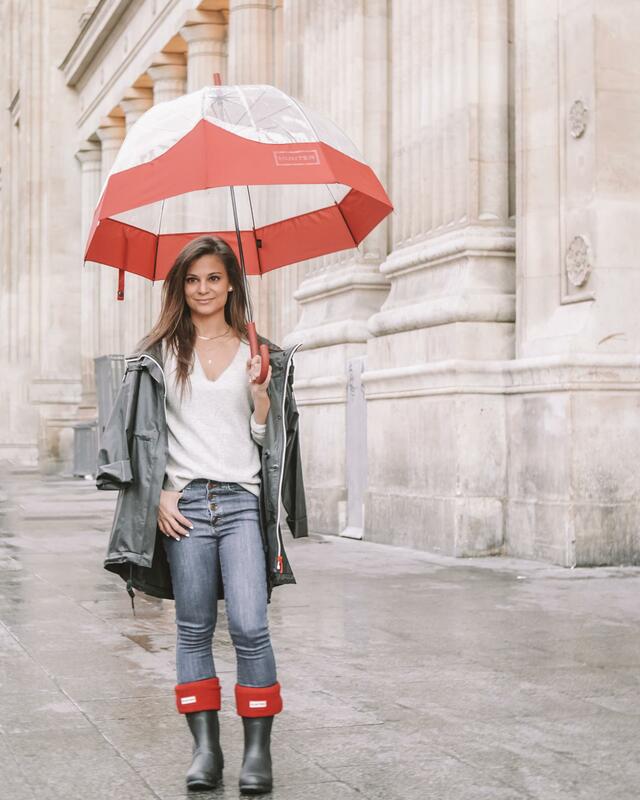 Check out the amazing site called Bottes Pluie as a one-stop shop to stock up on your latest rain gear for this fall. 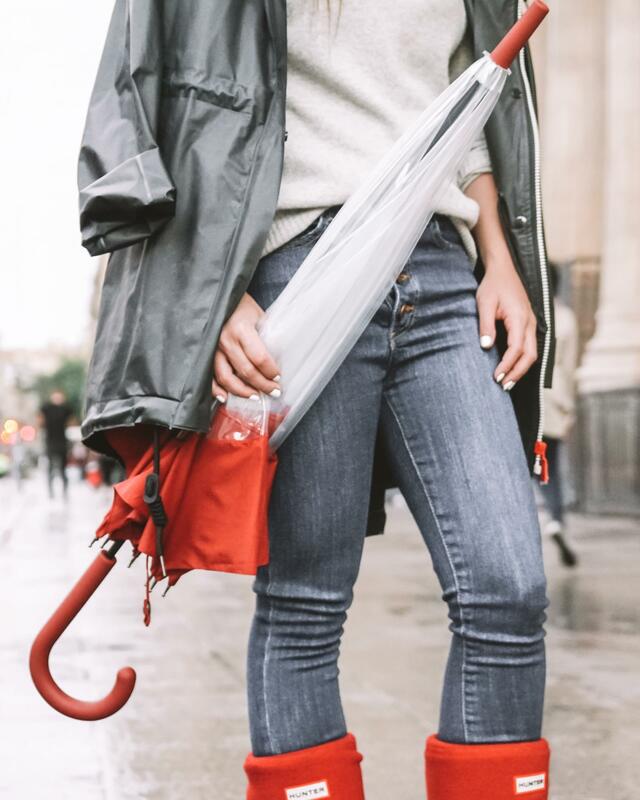 Not only do they have Hunter products, they also carry popular rain attire and outdoor gear perfect for this rainy season in Paris.